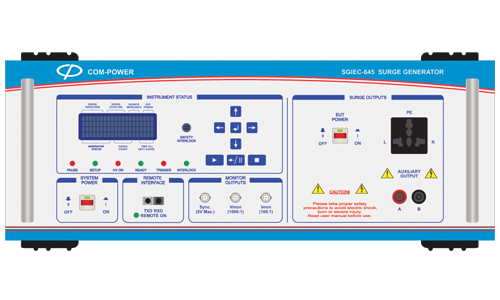 The SGIEC-645 is a state of the art, compliance level Surge Generator designed for IEC 61000-4-5 surge immunity testing. 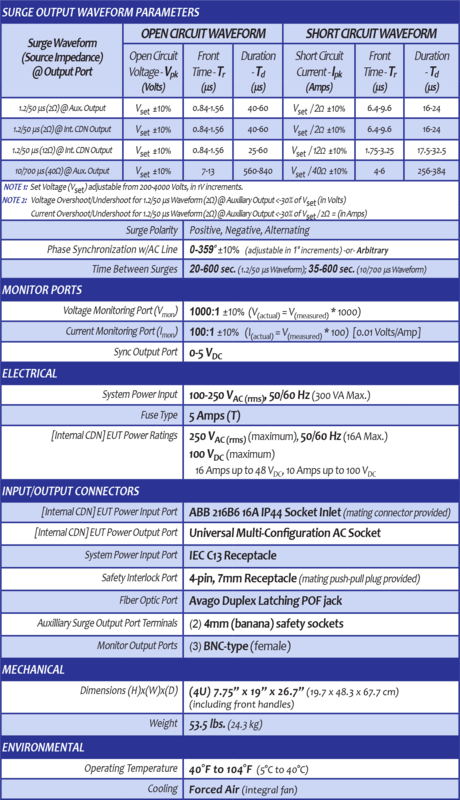 It is capable of generating both the 1.2/50, 8/20 Âµs combination wave, and also the 10/700, 5/320 Âµs combination (telecom) wave; each at test levels up to 4 kV. Surges can be applied to single-phase AC or DC power lines (up to 16A) using the integral, internal Coupling/ Decoupling Network (CDN). Voltage (1000x1) and Current (100x1) Monitor Ports located on front panel.